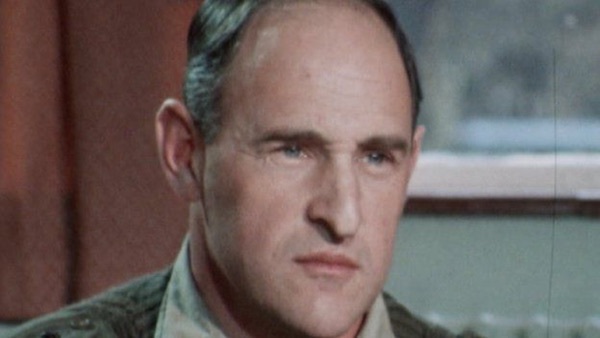 Former senior British Army General Frank Kitson is one of several high profile British establishment figures facing legal action brought by two members of the group known as the Hooded Men. Liam Shannon and Jim Auld recently launched proceedings against Kitson and other former British political figures, including the estate of former British Prime Minister Edward Heath. The men were subjected to torture at a now defunct British Army barracks in County Derry. A total of fourteen men have said they were subjected to ‘five techniques’ including being hooded, made to stand in stress positions, forced to listen to loud static noise and being deprived of sleep, food and water. In some cases they were also thrown from helicopters they were told were hundreds of feet in the air despite being just feet off the ground. Earlier this year the European Court of Human Rights rejected an appeal by the 26 County government against a ruling that they were not tortured. In 1978 the court held their treatment was inhuman and degrading, but fell short of torture. Hundreds of nationalists were held without charge during internment, which ran from 1971 to 1975. Kitson directed British military actons in the North at the time. He was a key strategist behind Britain’s historical “dirty war” in Ireland. The London-born officer rose to one of the highest British military ranks, serving as the Commander-in-Chief of Land Forces, with a fistful of ‘Empire’ titles to his name. In Ireland he is best known as the man behind such notorious groups as the MRF (Military Reaction Force), the SRU (Special Reconnaissance Unit) and the FRU (Force Research Unit), acronyms for a number of related British state death squads. Author of a military manual on “Low Intensity Operations”, his murderous plans were used for British colonial suppression in Malaya and Kenya before being deployed in the north of Ireland. Kitson has so far escaped legal censure in Ireland, the authorities in Britain going to extraordinary lengths to keep him out of harms way -- or the witness box. Also included in the legal actions are the estates of former British Defence Minister Peter Carrington and Home Secretary Reginald Maudling, who were both in office when internment was introduced. Darragh Mackin of Phoenix Law said new documents had come to light. “In light of the further documents uncovered, we have identified a number of those ministers who were intimately involved in both the preparation and execution of the torture techniques on the hooded men,” he said.